Taboola.com | Website Traffic Review - Best Legit Traffic Sources you MUST Try! Taboola.com is the website behind links such as “sponsored links” or “stories you might like from around the web”, making them a very powerful sponsored content websites globally. Since they started their operations on 2007, their team has exerted efforts in creating the most advanced discovery platform for their customers. Customers who would sign up for Taboola’s services has the privilege to post their ads in different avenues such as in content discovery widgets, displaying articles or videos or into another publisher or advertiser’s website. And since Taboola already is partners with countless established publishing websites, driving traffic and monetizing such will be easy and systematic for its customers. When they send you a contract to sign, make sure they don’t lock you with any mandatory period of time to run them. Even if their representative agree on dropping some of the conditions from the contract make sure you’ll have that in writing. They will not honor their promises unless it is in writing. If you’ll decide to drop them, they will not pay the money they still owe you, which is about month and a half of your traffic. You will not see those money. I’d recommend to use some other ad providers, Taboola pays about the same or less, but not honest with their payments if you go away from them. by Jordan M. on Website Traffic Review - Best Legit Traffic Sources you MUST Try! I suspect this service operates click fraud. Hmmm. I just signed up and I have had my article approved. My Taboola control panel says that I received 4 clicks and has charged me for them. When I check my Google analytics it says that those clicks have come from Israel! This is not a country I am targeting and it happens to be the same Country that the CEO is from. I suspect this service operates click fraud. 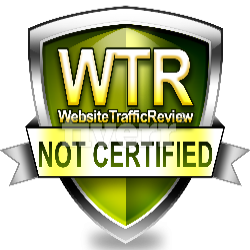 by Darrell H. on Website Traffic Review - Best Legit Traffic Sources you MUST Try! Taboola sent me an email saying my campaign was rejected, so I went with another service. Then I got a notice that Taboola charged me over $100/week. Their site says my ad got hundreds of clicks, and yet Youtube says that my landing page only got a couple of views. 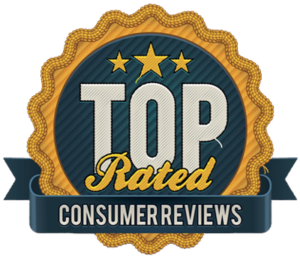 by Ellen J. on Website Traffic Review - Best Legit Traffic Sources you MUST Try! I don’t see how any one could even get noticed using Taboola. Anytime I have ever clicked on a site sponsored by Taboola, I have to close it before even the first page opens as the lag is simply horrible. I would advise the people considering Taboola as a means of “getting noticed” to avoid Taboola. No one can “notice” your ad if the page loads so slowly that it frustrates the user to the point that they back out of the page and don’t attempt to reopen it. 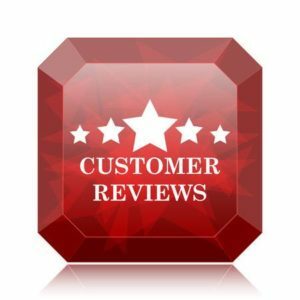 by Louis on Website Traffic Review - Best Legit Traffic Sources you MUST Try! I was creating a campaign. Items and audiences were still missing but Taboola created it without my approval and launched the campaign. When I realised this, I paused the campaign immediately, and the total was 170usd. However they started it again and kept it running until midnight, causing my bill to increase to 477usd. We had a big increase of traffic in our site with ZERO conversions. This shows that they just spat the inefficient ad that they created everywhere in the web, outside the defined countries and audience, just to make scam money. by Whitney Boudreaux on Website Traffic Review - Best Legit Traffic Sources you MUST Try! Talks about free and then offers a quote. If it is free, then I do not need a quote, I already have one.